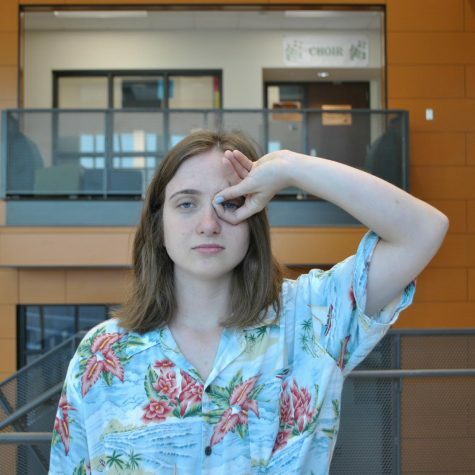 Morgan Sheehy, commonly known as Moshee, is a junior at EHS and a page editor on Zephyrus. She has been gifted with a notable amount of “talents," but she takes the most pride in her incredible accuracy and precision in the art of gaming. She would like to take the time to credit her superhuman abilities to her many years spent training to become a firebender with the Avatar himself. She regrets to inform you that she will not be able to join the Super Smash Bros club at EHS (it’s her favorite game) due to her demanding schedule of softball, nordic skiing, and robotics. We thought it only right to brief you on a little secret: Nintendo made a separate game mode in Super Smash Bros called “Keep Morgan Alive” due to her inability to keep from running off the edge of the stage and continuously being destroyed by her fellow smashers (yep. Surprising, we know). This Zephyrite happens to be an avid enthusiast of the hit HBO TV series, Game of Thrones, but will blatantly deny it if ever brought up in conversation. Some of her talents include reciting bad bee-related jokes, interpretive dancing in the kitchen, baking the best “World’s WORST Chocolate Chip Cookie Recipe," and being by far the strictest gummy bear critic to ever walk the earth. When she has free time, Morgan enjoys watching the thrilling, deeply symbolic, and ground shattering “Bee Movie," as well as continuing to teach herself the guitar and ukulele. Morgan expects to graduate from EHS in 2019, and plans to pursue forensic sciences with a minor in the mindblowing study of the psychology of memes, with the hope of eventually working for the Federal Bureau of Investigation.